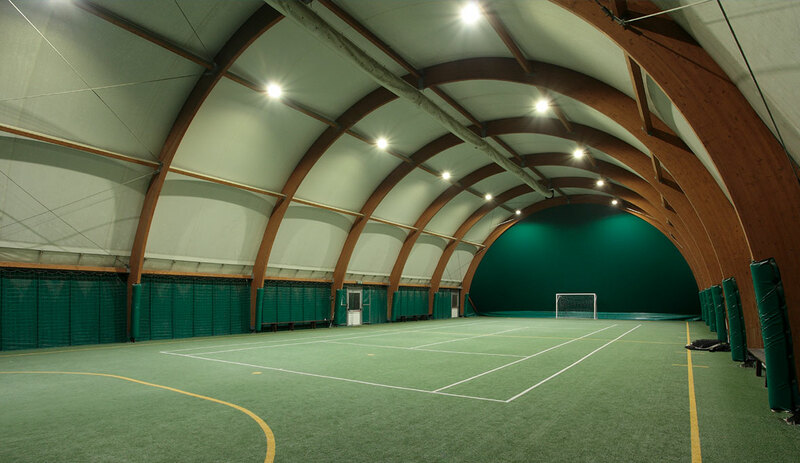 It’s a well known problem for many sports clubs – lighting levels in halls are too low and energy consumption is too high. 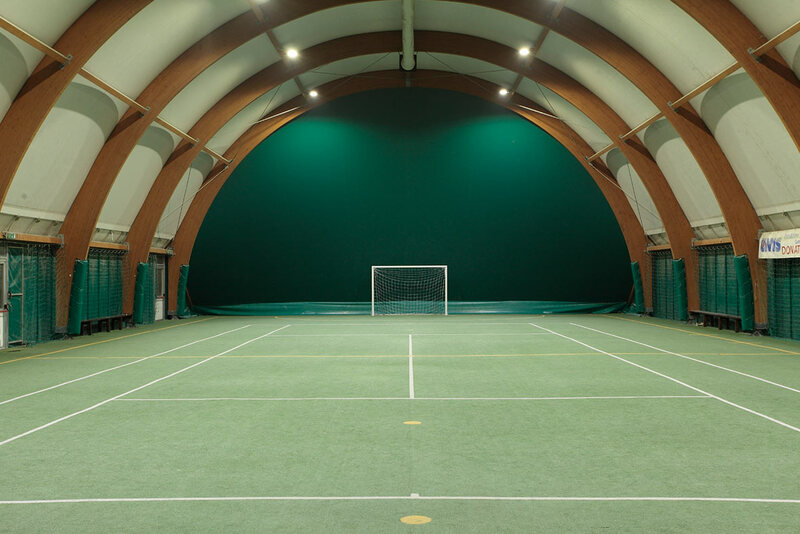 Such is the case with the tennis club in the Italian town of Ceriano Laghetto. TRILUX provided support in both cases. Following refurbishment players are now thrilled with double the illuminance as is the club about their electricity bills being cut by two thirds. Upgrading to LED makes it all possible. 150 lux before and 300 lux now: those taking a look at the before/after photos of the tennis hall know why the players could hardly wait for the new lighting systems. Tennis, a game of rapid pace, places significant challenges on the visual capacity of the players. During the lighting design process TRILUX made sure that the twelve installed LED projectors created low levels of shadowing, were almost completely glare-free and ensured a high level of contrast between the ball and the background. 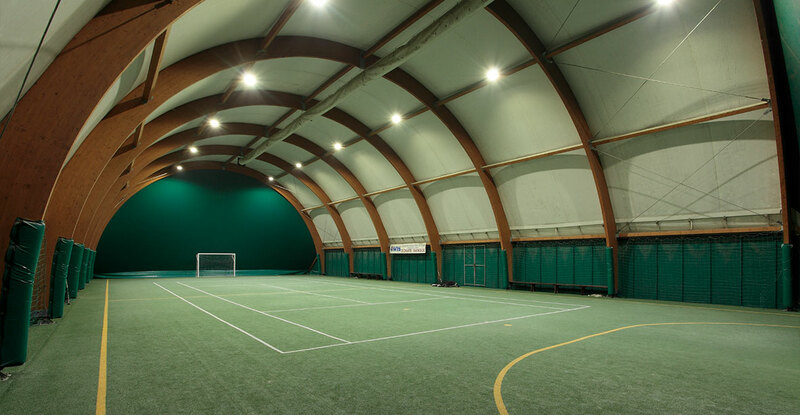 The horizontal illuminance levels also decrease only slightly at several metres outside of the side lines because players are active here as well when struggling to reach difficult balls. The LED projectors are installed parallel to the longitudinal axes of the court to avoid glare as far as possible with serves or high volleys and the system is also protected from stray balls: direct hits on the light points cause no damage thanks to constructive reinforcements. An investment that pays off: energy consumption slashed by 65% thanks to the new LED projectors. 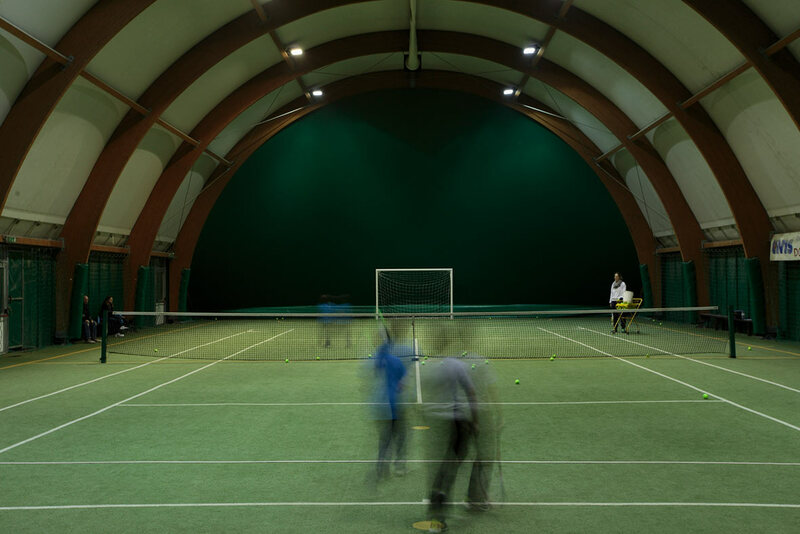 Upgrading to efficient LED technology also benefits the sports club financially – up to 65 percent less energy is consumed, meaning the system pays back in less than two and a half years. In addition to the club's budget, the environment also benefits from this investment – almost 6 tonnes of climate-damaging CO2 emissions are avoided each year. Club President Severino Rocco is pleased that the TRILUX installation meets expectations. "In addition to the financial advantages, the players and coaches are also enthusiastic about significantly improved conditions for training and matches." At the end of the day this means: advantage LED! Before: low lighting level and too high energy consumption. After: visual comfort has been significantly improved.